Eddie McLaurin has hundreds of children, and they’re all real “monsters”! 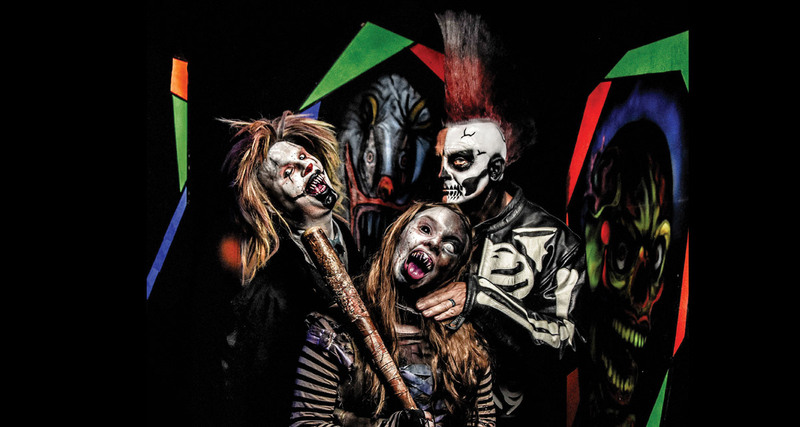 That’s because every Halloween season for the past 26 years, Eddie has recruited and employed young people to dress up in scary attire and help him entertain the thousands of patrons who come to visit Woods of Terror in Greensboro. In addition to the monsters, Eddie employs scores of folks to work behind the scenes, doing everything from make-up to construction. “I was never blessed with children of my own, so that’s why I like to surround myself with young folks who share my passion for bringing joy to others,” said Eddie. Many performers and technicians keep coming back year after year, while others move on to other adventures. Eddie stands 6’2” in street clothes and about a half a foot taller than that when dressed up as “Bone Daddy,” the popular snake-adorned star of Woods of Terror. But, in or out of costume, he strikes an imposing figure. He’s like a father, school principal, employer and counselor all rolled into one, who instills a solid work ethic in his kids, teaches them how to handle their finances and sets an example for how to serve others. In fact, as much as Eddie does for his monsters, he also does a lot for the community. For example, each year, Eddie hosts a Trunk or Treat event for kids with MS. He has also held fundraising events for breast cancer awareness. And, on any given day, he might provide shelter for a homeless person or rescue a dog. Eddie and the monsters he mentors can be seen at Woods of Terror starting September 15th. For more information, visit www.woodsofterror.com.